I hesitate to actually post the photos from today's Moore, Oklahoma tornado outbreak because it is always gut wrenching when there is such massive destruction and loss of human life. 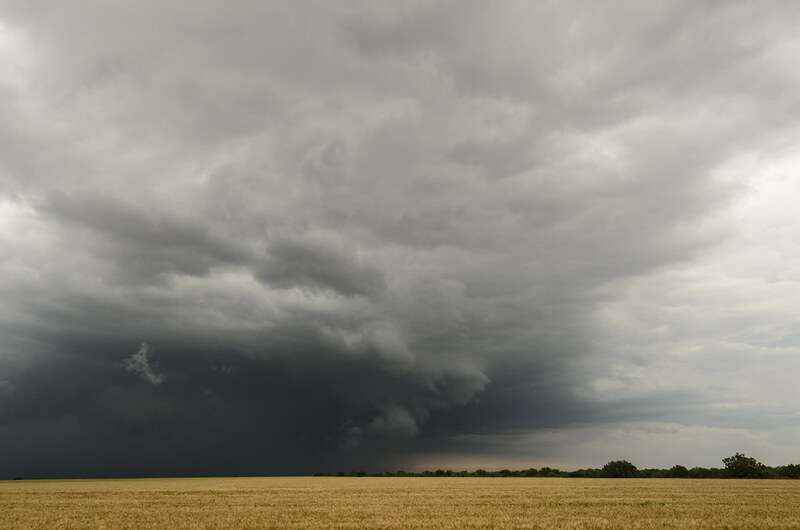 However, these photos from the middle of tornado alley should serve as a reminder of just how violent summer storm in America's heartland can be and that tornadoes -- especially like those today in Oklahoma -- are serious and warnings are not to be taken lightly. When there is a tornado warning or the sirens are sounding, get to the basement immediately. Things can be replaced but a life cannot. Storm chasing prior to touchdown of the Moore, Oklahoma tornado. 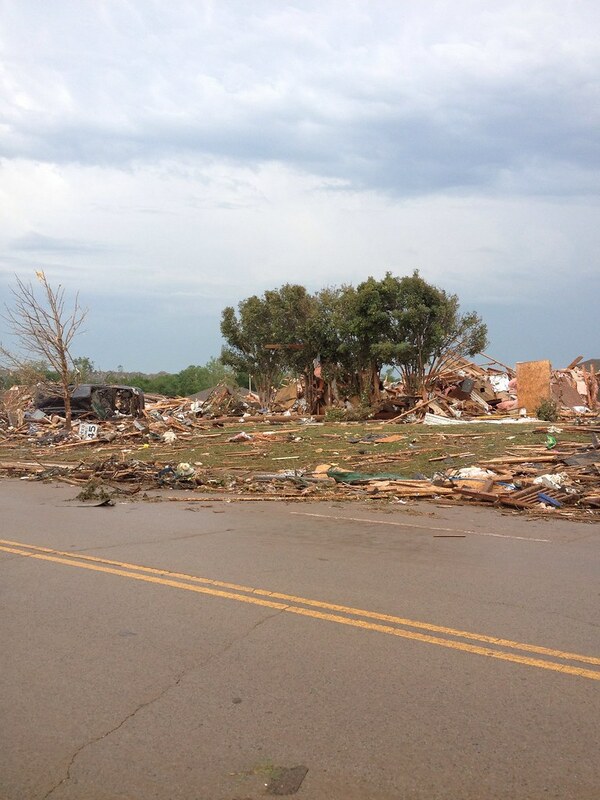 Moore, Oklahoma damage after tornado outbreak. 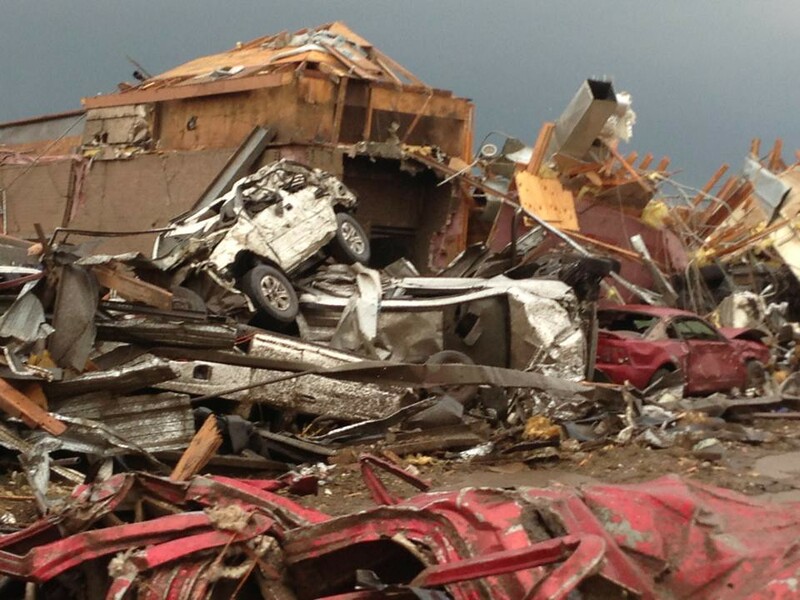 Extreme tornado damage in Moore, Oklahoma. The photographer says: I went into Moore Oklahoma today to find my friend. This is right across the street from her house. I can't even begin to describe what I saw. So horrible. 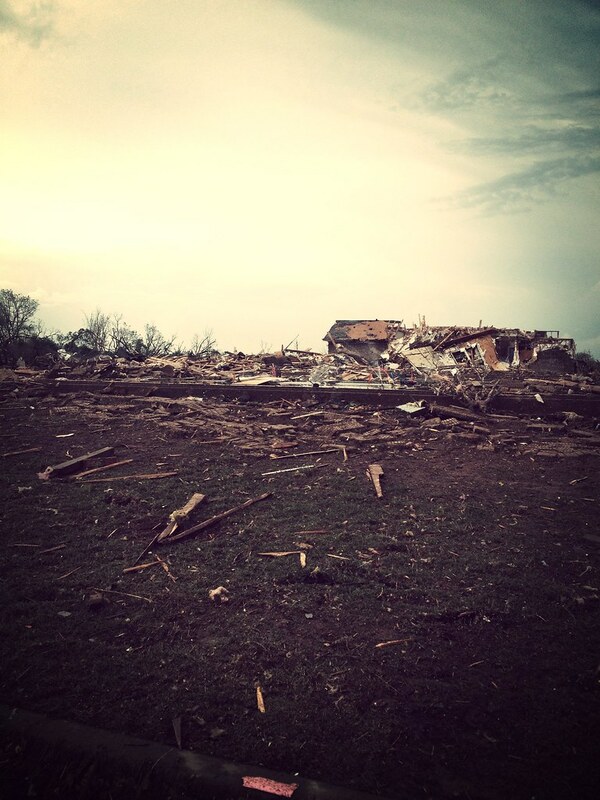 Pray for these families who were hit by the tornado.